Medical massage is outcome-based massage, primarily the application of a specific treatment targeted to a specific problem the patient is having. Massage is an important part of recovery from any acute injury or it can also be a simple tool to your personal wellness regiment. Because it promotes circulation and the oxygenation of your blood it allows your body to heal from an injury more quickly. Gale Richardson, LMT, has been a licensed massage therapist for 12-years and lives in the downtown area. She has three grown sons and a dog named Fallon. Her passion is to help people with their pain through serving them with her hands. 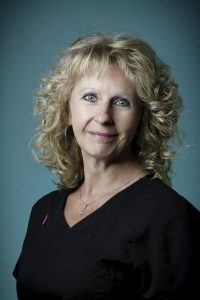 Her years of experience have allowed many patients get on the road towards a pain-free life. We are privileged to have her call Warner Wellness Chiropractic her home.